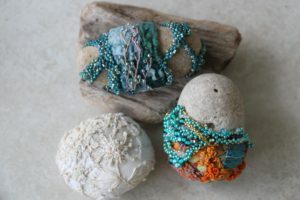 Home A Bead Muse Muses Gifts from the beach: Traditional repurposing! What do you think of when I say gifts from the beach? No, I don’t mean those expensive, kitschy items that you bring back as presents. I mean the real gifts! I wish I was close enough to the ocean, to say that my gifts from the beach, included a myriad of shells, but no, not this girl! 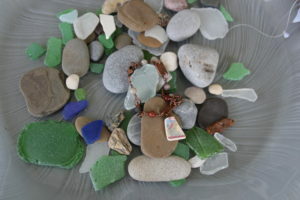 As I live close to a very large lake (Lake Ontario), my gifts include beach glass, driftwood, and stones! Not only tangible gifts, but how about the gift of peace, sunshine, seabirds, exercise, fresh air, and serenity? 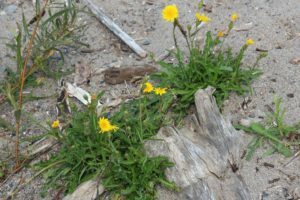 I find beach walking to be a very Zenlike experience. The sun, the wind, the sound of the waves, and even the act of collecting the little gifts, bring peace to a busy mind. Now on to the tangible! My gifts from the beach include beach glass, and small pieces of driftwood. 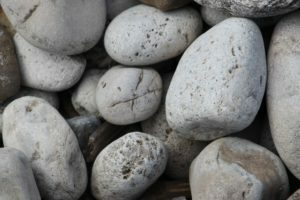 Then again, there’s also a wide variety of sizes and shapes of stones. 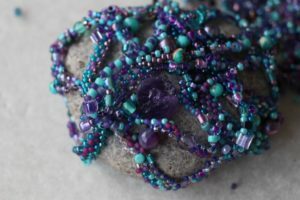 I’ve drilled small stones, then wrapped, beaded, and even covering some of my larger stones in polymer clay. 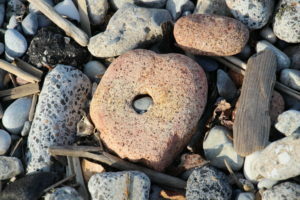 One small stone, was even covered in glue and beads (now that was a finicky project!). 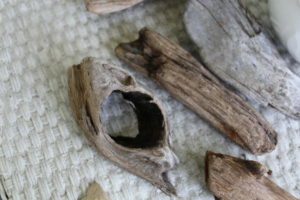 I’ve posted photos of my driftwood and stones, use them for display, and have even designed classes around them (but none on the schedule right now). Some were successful, and others not, but yet I still enjoy the process! I must admit, that other than drilling a few small pieces of beach glass, my glass normally just sits around looking pretty! But I plan to spend some quality time with these gifts from the beach, in the near future! There are tons of possibilities! I will wire wrap some, drill a few more, then include some in my freeform peyote. 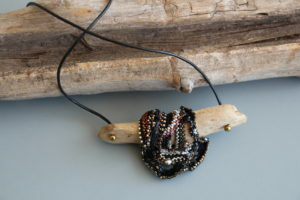 But then again, I could make a necklace or bracelet, use some in collage, then finish off the journey with a mixed media piece. Oh! I neglected to mention photography!!! 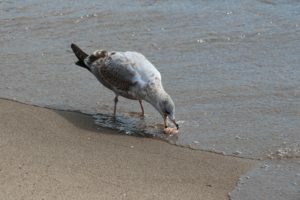 I always take my camera for a walk on the beach. Never a pretty picture type of photographer! However, I do love snapping small vignettes, of items that have cast a spell on me! I love the minute details in life! The weather will get colder, but I’ll still be able to hold my gifts from the beach, in the palms of my hands. To fondle, to create memories, and even to share with my students! 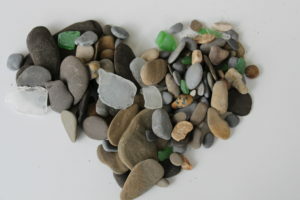 What do you plan to do with your beach finds?